Normally you can login during the booking process, but if you're concerned the tickets you want will sell out very quickly we recommend that you login to the site first here. a. If you have an account. Remember, your username is an email address. Your password has to contain at least one upper case letter, at least one lower case letter, at least one digit and must be at least 7 characters long. b. If you do not have an account with ATG you can Create a New Account here. 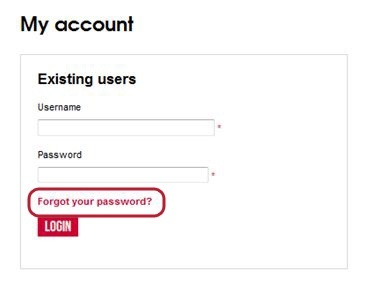 c. If you cannot remember your online account details, you can click the 'Forgot your password?' link. Remember: Your username is your email address. Your password must contain at least one upper case letter, at least one lower case letter, at least one number and must be at least 7 characters long. 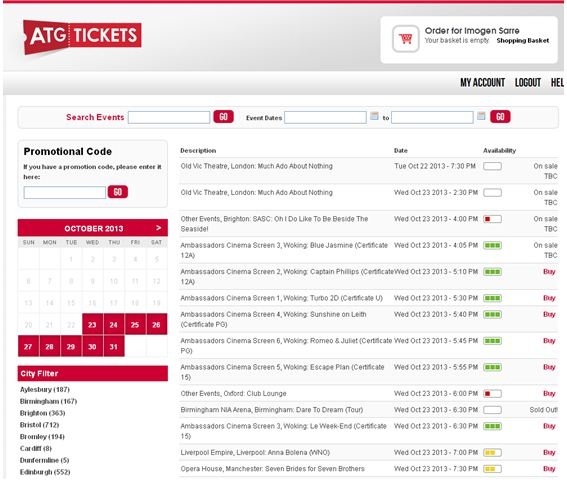 Once you’ve logged in, you will be automatically directed to a page showing all current productions. Once you have found the show you want to go and see, at a theatre you want to see it at, select the performance you want on the 'Show Times' section. 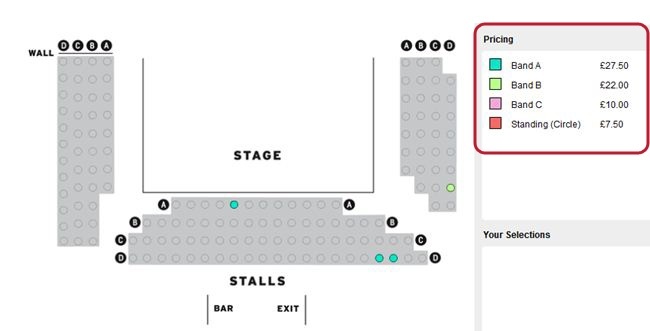 Then click 'Select Tickets' for the performance you want to go and see. When you click 'Select Tickets', various options will drop down. Click 'Buy Tickets' for the performance date you want tickets for. 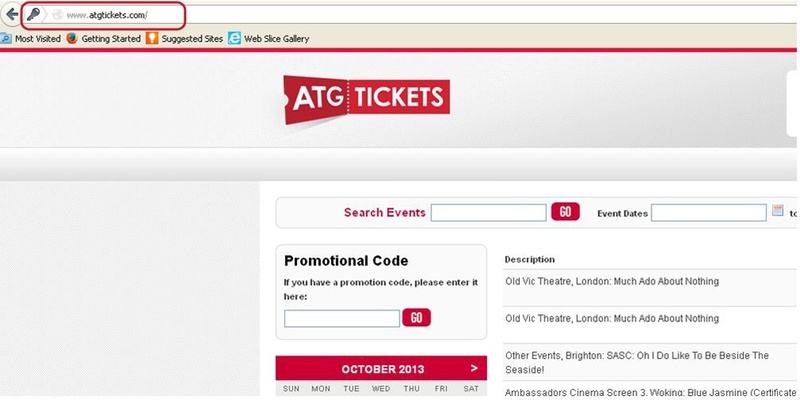 Or, if you are a Theatre Card member, click 'Login' and then enter your card details in the pop up box. 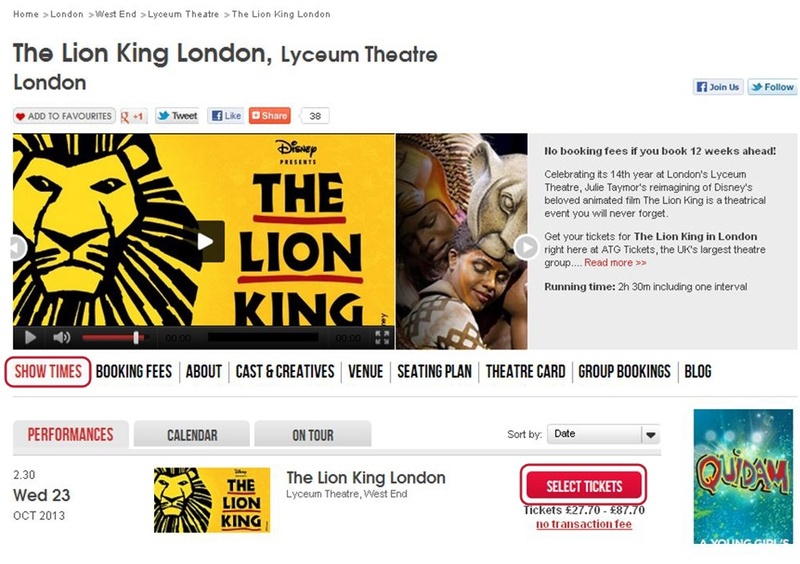 This will mean you’ll be able to take advantage of any Theatre Card benefits when you book. Click on the part of the auditorium you want to sit in to select your seats. The Stage will be clearly labelled at either the top or bottom of the map. The Stalls refer to the part of the seating that is on the same level as the stage. 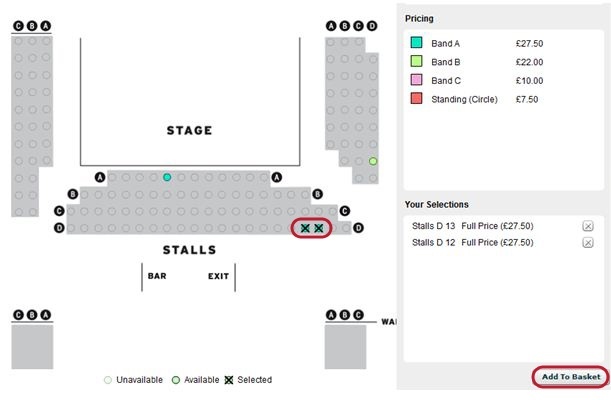 The rest of the seating goes upwards, so the further away the seating space is from where the Stage is marked, the higher up the seats. Generally, the most expensive seats are in the stalls. Available seats will be shown in colours representing their value. 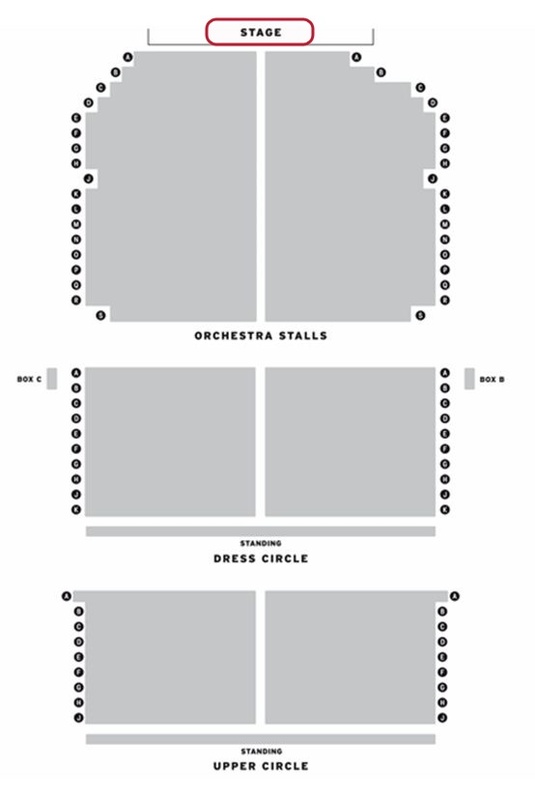 There is a key that shows price bands of these tickets on the right of the seating plan. Click once on the seat you wish to book, and then click once on the price that pops up. If you are a Theatre Card Member you will see a variety of prices. 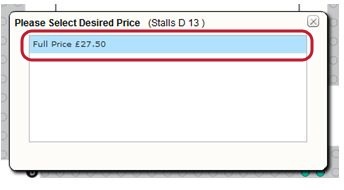 Always choose one with (ATG Theatre Card) and a star beside it to ensure you are receiving the price you are entitled to. Repeat this process for any extra seats you wish to book. Your selected seats will be marked with a X. When you have all your seats selected, click ‘Add To Basket’ at the bottom right. Note: At the top of the screen will be an order timeout countdown. Your tickets are only held in your basket for a set amount of time and you will need to complete your purchase before the time runs out. You will be taken to a summary screen, showing the tickets you have selected. Here there are options to change the ticket prices, to continue to check out (to pay), or to ‘Continue Shopping’ – which will return you to the list of available productions. You may also be shown extra information about your purchase or the production – please read all pop-ups carefully. You can then choose your payment method (all types of credit/debit card are accepted) and review the contents of your basket. Click the 'Buy' button ONLY ONCE. Clicking more than once may charge your credit card multiple times. By purchasing tickets you are agreeing to our Terms & Conditions of Sale. 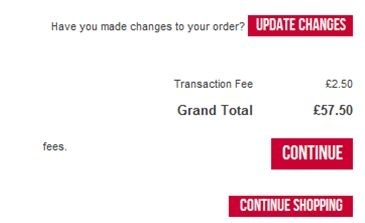 You will be able to click through to read them at this point in your ticket buying journey, or you can read the Terms & Conditions of Sale here. 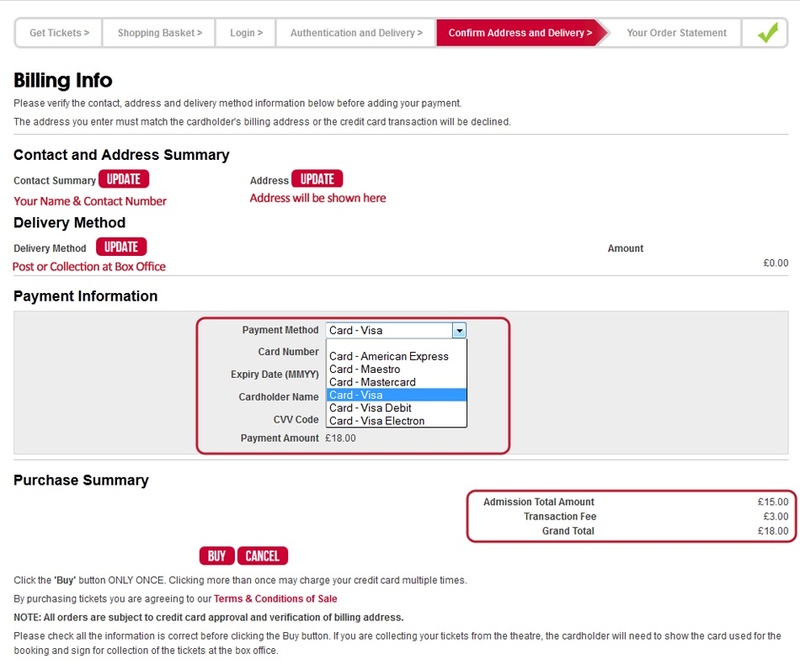 All orders are subject to credit card approval and verification of billing address, and you may need to start your order again if your payment is declined by the bank or your billing address is found to not match your account details. Please check all the information is correct before clicking the 'Buy' button. If you are collecting your tickets from the theatre, the cardholder will need to show the card used for the booking and sign for collection of the tickets at the box office. Questions about postal delivery are answered here.